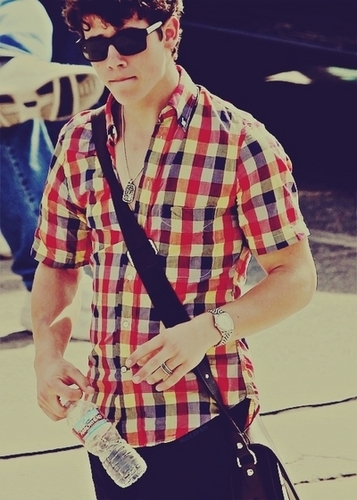 Nick < 3. . Wallpaper and background images in the nick jonas club tagged: jonas nick jonas nick. This nick jonas fan art might contain óculos de sol, óculos escuros, tons, and máscaras. Nick Jonas & Delta Goodrem: Los Cabos for Labor dia !! !